It’s like deja vu. I have too many irons in the fire…again. So I intend to take a break for a while. Gotta get my priorities in order. If, in the meantime, I think of something that will change the world, you guys will be first to hear about it. My blog has made it, by some mistake, to the short list of the ‘best humour blogs’ in Ireland. I haven’t worn my funny cap in months. Strange. Best of luck to the remaining participants. On the car journey home from work today, my workmate and myself were listening to the news on the radio. He had lived across the pond, in Boston, for a few years. He has fond memories of the States, some of which he retells to me on our journeys home. But today on the radio the newsreader told the heartbreaking tale of a young girl who accidentally shot her gun instructor…with an Uzi !! That’s a submachine gun. It ‘sprays’ bullets. I will pray that the girl will fully recover from the eyewitness shock of what a gun actually does. The poor girl. May God watch over her. “…the girl was nine years old,” finished the newsreader. Then silence in the car…except for the weather on the radio. 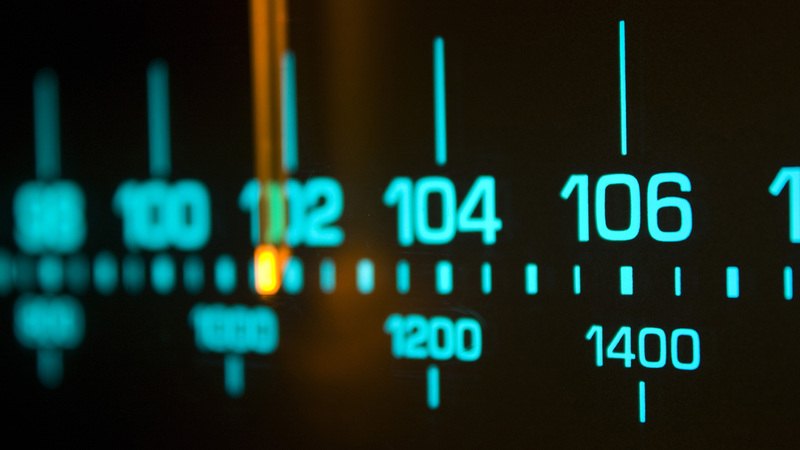 I spoke on our local radio station today. I was great! You should’ve been there. People all over County Donegal stopped what they were doing just to hear my words of wisdom. You could’ve heard a pin drop. There was a lady speaking via phone to the host. She was waiting at her home to be collected by the local police and whisked off to prison. The sentence had been handed down a few days previous. Her crime? She wanted to teach her children at home. She and her husband have six children. They have home schooled them all so far. The eldest is now 27 and having a successful career, as are the following two. The remaining three children are still at various stages of learning. From what I gathered, the children are taught at home until in around the early teens. After that, they are encouraged to take the next step, which is usually a more specialised form of education. There is always a but. The department of education (the state) couldn’t just leave it be. Oh no, that would be too much like common sense. They dragged the woman through the courts in an attempt to force her to submit to the state’s system. She refused. And now she is headed for the slammer. Driving along, listening to the radio, I was so impressed by her version of things that I pulled over and sent a little text message of support into the radio station. Well, lo and behold, the station phoned me back asking, no begging, me to join in the conversation live on air. I obliged. The truth is I am not really that hot at public speaking. What I wanted to say came out okay but my heart was going a mile a minute, and my hands were sweating like crazy. Of course the host, being neutral in opinion, didn’t give me an easy ride either. But all in all it went alright . After the call, I slunk back in my driver’s seat and ran the conversation back in my mind’s ear. Smiling to myself at how knowledgeable I sounded. Oops, I had forgotten other folks have radios also. Big brother, eh? His bark is worse than his bite, and very witty too…I hope. I don’t know about you but I enjoy reunions. I had a reunion with a few old schoolmates last week. It was good fun, recalling all the antics. To see the words “Trucker Turning Write” in the list gave me such a smile. I knew it was nominated thanks to Liz at http://www.lizard100blog.wordpress.com and my wife who both encouraged me to give it a go. Even if nothing comes of it the following clip sums up the feeling of simply being on the nominee list. There was a friend of mine whose parents were teetotallers. They didn’t drink alcohol but they always kept a bottle or two about the house, for visitors, you know. My friend was a normal teenager, curious about all things taboo. Sometimes when he got the chance he would try a drop behind his parents’ back. Vodka was his preference. He would consume as much as the circumstances would allow and simply top the bottle up with water. This practice continued from midsummer all the way to Christmas until the bottle was so watered down that it was basically…just water. All was fine until his parents invited the neighbours around for “a wee drop of Christmas cheer”. Being typically Irish the neighbours accepted generous top-ups without complaining about the vodka. But being typically Irish they went around the neighbourhood the following day telling everybody about the Christmas Scrooges who tried to pass off a bottle of water as vodka. It didn’t take long for word to filter back to the parents. They were in shock. They promptly did what every Irish parent would do…totally overlooked anything domestic; their sons were good boys, beyond suspicion. No, they took the nearly empty bottle and drove straight into town, to the off-licence (liquor store) where the bottle was initially purchased and demanded a refund and an apology. After much arguing, believe it or not, they got their apology, having somehow managed to convince the storekeeper that somebody working in his establishment had been helping themselves behind his back. Those were the days. They don’t make parents like they used to. Teens? I reckon teens will be teens in every generation. ps…Good luck to all nominees. Procrastination. I’ll come clean…I had to look it up. I have heard the term a few times before and I had an idea that it was a swanky word for time wasting. A quick look in the dictionary and, yes, that seems to be what it means. There is another term I must check out sometime; Ad-hock. The spelling is probably wrong but that is how it sounds. I have heard it used once or twice in the past. I heard it again today on the radio. I think it means “a quick fix”. There is a certain radio host who must have learned all his English from a Jane Austin novel. He speaks like she writes (she wrote), if you know what I mean – Why use a small word when a big word will do? You know the sort. Still, without people like him we would probably be back to babbling if left to our own devices. Incidentally, I believe the term babbling comes from a Bible story about a tower of babel. The people of Babylon were building a tower to the heavens and, long story short, God didn’t like it and cursed them all with different languages so they couldn’t understand each other. I guess something simple like “Pass me the cement, please.” would then come out like “Tobhair dom an straighil, le do thoil.” Before long the builders were like “huh?” Nobody understood each other. The chances are that is just pure myth but there again, who knows? So my advice to any procrastinators is – Go easy, too much can make you blind. Forgive me, I find this font size quite hard to read. Three cops and a fountain. There was a very good reason that I physically restrained my wife from throwing a coin into the Trevi fountain. Even though every euro was precious to us personally, it had nothing to do with the recession back in Ireland. But the police, or polizia to be exact, were having a hard time understanding. It was my wife’s first ever time on an airplane. It was my second. I was the expert! Even though I was too young to remember my first time, I was such a know-it-all. “Don’t worry. Sit back and relax. You won’t even know you’re in the air.” I reassured her. My wife was making her peace with God, just in case. She was feeding the rosary beads through her fingers at a rate that would have made Mother Teresa green with envy. The plane taxied down the runway. I was all business. Until it hit full throttle. I don’t know what came over me but, when the pilot gave her the welly, I cracked. I snapped the beads from my wife’s hands and prayed like this was the cresendo of my life on earth. I had spent more than fifteen years of my life as a motor mechanic (before this trucking lark) and the laws of physics had led me to believe that there wasn’t a rivet on the earth which could stand the sheer acceleration dished out by these jet engines. We must have been in the air about thirty minutes when my wife, who had just discovered her life’s purpose (flying) was asking me to look out the window at all the little tiny houses down below. I couldn’t look. My fear of heights had been heightened by the shaky rivets and the volcano ash cloud which had blown all the way from Iceland to northern Europe. Bing bong! The captain informed us that we would be taking the scenic route (long route) to Rome. Lovely! Just flipping lovely! I could picture this little apprentice, barely through puberty, grinning from ear to ear on his spotty wee face. Saying to himself, ‘Let’s see what this baby can do’, as he gazed around the dashboard like a kid in a candy store. Have you ever spent four hours putting on and taking off your seatbelt? No? Well I have. There was a red light up near the front which was going from red to green then red again, at roughly ten minute intervals. What I thought was the ‘Seatbelts on‘ light turned out to be the ‘somebody’s in the toilet‘ light. Of course nobody corrected me. Why would they? A full grown man hammering out Hail Marys to beat the band had enough on his plate. We made it to Rome. When I stood up my wife commented that my shirt was stuck to my back with sweat and my face “looked a bit grey.” I didn’t care how it looked. All I could do was smile. I would have kissed the ground but we had to walk through a tunnel straight into the airport buliding. We were in town for my older brother’s wedding. He was always the awkward one. He couldn’t just get married in Ireland like the rest of us. Oh no, that would make too much sense. Anyway, he got married. It was a lovely wedding, I’ll admit. And the weather!! I always thought weather like that only happened in the movies. The following day my wife and myself, wandering around, found ourselves looking at the famous Trevi fountain. When I say looking I mean standing on our tip toes trying to catch a glimpse of the thing over the shoulders of every other person on the planet who all had the same idea, on the same day. Damned Tourists! With their cameras that appear large enough to snap somebody pretending to place a flag on the moon. We wiggled our way through the crowd until we reached it. “Give me a euro,” my wife said, in a panic. When I asked why, she informed me that if a person throws a coin into the Trevi fountain fate will ensure that person will return to Rome again sometime in the future. Upon hearing this I quickly removed my empty hand from my pocket. I lied that I didn’t have any change. As beautiful as Rome is, I wasn’t prepared to put myself through the hell, better known as flying, it took to get there. I have been on mainland Europe a few times but my choice of transport is always the car ferry. Probably because I can swim. I haven’t quite been able to master flying yet. Perhaps it’s the lack of feathers. Of course as fate would have it, she had found a coin in her own pocket. I grabbed her wrist just as she was about to throw it. A struggle ensued. I could hear bystanders discussing if they should interfere or not. Just then a little street urchin made a grab for my wife’s camera (a lego camera by today’s standards). So I grabbed him with my free hand. This was turning into the ridiculous. Within seconds three big straight faced Polizia-men arrived. One of them took the boy away by the scruff of the neck, whilst the other two handled our little “domestic”. That is as much as you’re getting. Did she or didn’t she? That is the question. There is a famous saying; When in Rome. There is another famous saying; Not on my shift. There is also a third; She wears the trousers! 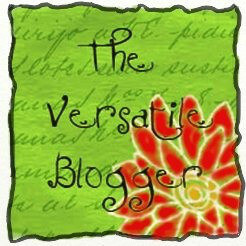 She has given me The Versatile Blogger badge, and well deserved I might add. I am worth it. She is the sort who genuinely wants the best for every new blogger. It’s not forced though, it comes natural to her. Cheers Lita. Now I have to mention seven random things about myself. 1 : I believe Jesus was on a world tour during the missing eighteen years. 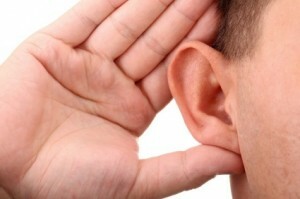 Not to learn from, but to teach those who would listen. I have reason to believe he was in Ireland. 2 : I am facinated by the spiritual beliefs and understandings of ancient Ireland. I mean thousands of years ago. 3 : I am happiest when I am conversing with people. Or else alone on a mountain or in a forest. 4 : I care for neither fame nor fortune. If you’re happy, I’m happy. 5 : Actions impress me way more than words. Leading by example impresses me. 6 : I can’t watch a mouth to mouth revival scene on telly or in movies. 7 : I am a hypocrite. I am not that good at being Christian. But I kick myself for it each time. So now I have to pass this on to a few people. I think I am allowed fifteen. I know there are bloggers who have so many awards that they don’t need another right now, so I have crossed a few off. Also there are those who need encouragement. Then there are those who are simply gifted. And lastly there are those who are too beautiful in their prose for a trucker to appreciate. Blame me if you’re not on the list. Not yourself. http://tropicalaffair.me/ This Lady is the wordpress answer to Leonardo Da Vinci. http://mcwilson1956.wordpress.com/ Feel like I knew this lady for years. http://marthakennedy.wordpress.com/ She was there man! http://tnkerr.wordpress.com/ The best short story teller. End of. http://kyliejlowe.wordpress.com/ This young lady is a welcome breath of fresh air. http://jackiesworldtravel.wordpress.com/ One to watch for the tourist. http://oldmainer.wordpress.com/ Just love this blog. Everything about it. http://followingmyjoy.com/about/ The earth moves for this lady. http://mememe2u.wordpress.com/ I like this site. Quirky. And Irish. http://suespen2paper.com/ Thanks for the encouragement. http://connectiontoyou.wordpress.com/ Half Irish, all talent. That’s fifteen. You guys and gals can do the fifteen or less or whatever.